Sishuwa Sishuwa chronicles the constant questioning of the identity and nationality of Zambia’s presidents – and challenges President Lungu’s strategy of incarcerating opposition leader, Fresher Siwale, who accused him of being Malawian. I am writing to you today regarding the serious matter of the continued and unjustifiable incarceration of one of our fellow Zambians. The citizen in question is Fresher Siwale, leader of a small opposition party named New Labour. He is being held under section 69 of the Penal Code, which provides that “Any person who, with intent to bring the President into hatred, ridicule or contempt, publishes any defamatory or insulting matter, whether by writing, print, word of mouth or in any other manner, is guilty of an offence and is liable on conviction to imprisonment for a period not exceeding three years”. Siwale was arrested on 24 April 2018 for claiming that your real identity is Jonathan Mutaware, born in 1956 to Malawian parents working on the Copperbelt mines, not Edgar Chagwa Lungu. 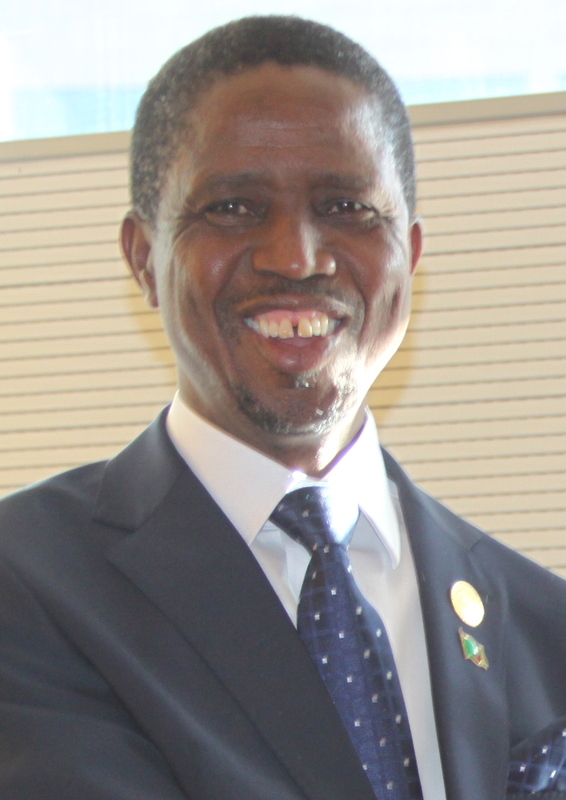 The implication of his accusation, if established, is that you were not eligible to contest the 2015 presidential election since the Constitution at the time provided that ‘A person shall be qualified to be a candidate for election as President if both his parents are Zambian by birth or descent’. Prior to his arrest, Siwale had appeared on different media platforms, challenging you to respond to his assertion that you inherited the identity and profile of the real Edgar Chagwa Lungu, whom he alleges is deceased. Following his arrest, it took more than three days before he was formally charged and over a week before he finally appeared in court on 3 May 2018. For reasons that I outline below, Siwale remains in police custody as of today, Monday, 14 May 2018, nearly three weeks after he was detained. Media reports suggest that he has been subjected to appalling and undignified treatment while in detention such as being denied food. Siwale has been imprisoned not due to your own actions but in your name. Regrettably, it seems to be part of our political tradition that almost each President of Zambia, a former one or a major political leader, faces accusations that he is an identity fraud or a foreigner, or that their parent is one. You will remember that his political opponents, led by Patrick Katyoka and Remmy Mushota, once accused founding president Kenneth Kaunda, who was born to Malawian parents, of not being Zambian. The duo sued Kaunda in the Ndola High Court and judge Chalendo Sakala, in agreeing with the petitioners, declared Kaunda stateless in early 1999. It was not until October 2000 that his citizenship was reinstated following a Supreme Court ruling that reversed the lower court’s decision. Kaunda’s successor, Frederick Chiluba, was supposedly a Congolese who assumed the identity of a former schoolmate and whose father was of Congolese origin. At the time, in 1996, the Constitution provided that ‘A person shall be qualified to be a candidate for election as President if both his parents are Zambian by birth or descent’. Akashambatwa Mbikusita-Lewanika sued Chiluba after the latter won the 1996 polls on grounds that he was not qualified to be President since one of his parents was not Zambian. The Supreme Court eventually declared Chiluba a Zambian on grounds that those, like you, who were in the country at independence automatically became citizens. Levy Mwanawasa was also alleged to be a Yao from Mangoche in Malawi. His challenger was a man you surely know, one Michael Sata who made the extraordinary claim in November 2001. Mwanawasa however declined to pursue the matter in courts of law, choosing instead to provide political responses to the accusations, a strategy that appear to have been effective. Rupiah Banda, by his own admission, was born in Zimbabwe. As a result, he was spared this persistent accusation. Although Sata did not suffer this accusation while in power, Katyoka had earlier in 2001 claimed that his father was Tanzanian. Sata personally sued his accuser for this remark in the Magistrate’s Court, months before the case was discontinued after Katyoka apologised to the then Patriotic Front leader. The apology followed Katyoka’s confession that he had been asked by Chiluba to accuse Sata as a way of undermining his political standing and presidential bid in 2001. A decade later, in 2011, then Minister of Information and Government Spokesperson Ronnie Shikapwasha resuscitated the matter when he claimed that Sata had Tanzanian roots. The PF leader simply ignored Shikapwasha’s accusations. Given the aforementioned political history, it must be expected then that some of your opponents would accuse you of being non-Zambian. This much is the same as before. What is different and curious is your apparent reaction to these accusations. As noted above, your predecessors simply denied the accusations and occasionally engaged in court battles to assert or prove their identity and citizenship. One major thing they did not do, however, was turn on their critics, or criminalise any discussion relating to their identity. Not even Chiluba, whose case generally mirrors yours, did that. They recognised that criticism, even unfair criticism, is part of political debate in any functioning democracy. I urge you to learn from their example when it comes to how to respond to this enduring political accusation. As you probably know, the conditions under which Siwale is being held are intolerable. He has not been convicted of any crime. Neither has he been accused of a serious offense that would make him a danger to the public, such as murder or aggravated robbery. Yet he remains in detention and seemingly indefinitely even before his case is heard. At his first hearing, the magistrate imposed extraordinary bail conditions. Siwale had to not only provide ZMW 10,000 cash but also two working sureties, one of which must be a person working at the level of director or above in government. As you know, Mr President, such individuals are appointed in your name and would not sign a surety for a man accused of insulting your dignity without your permission. It is therefore very unlikely that Siwale would meet the stringent bail conditions imposed on him anytime soon. The result is that this fellow citizen, even after trial commences on 23 May, would remain imprisoned indefinitely without conviction. I am aware that Section 126 (3) of the Criminal Procedure Code, under Chapter 88 of the Laws of Zambia, allows Siwale to apply to the High Court for the variation of his bail conditions. I am also aware that he can use the constitutional route to seek the same outcome. What worries me greatly, and I think what should also worry you, is that many cases proceed slowly through Zambia’s courts and so Siwale faces the prospect of being imprisoned for years while seeking to meet the bail conditions as they presently stand or to satisfy another court to vary them. How is this justice? Is this the kind of a society you wish to preside over? Do you wish for criticism of you to be punished in this way? Media reports say that the Magistrate who imposed the stringent bail conditions stated that she was willing to vary them if Siwale fails to meet the set requirements, which raises questions about why she set them in the first place. I implore you to show your magnanimity and that you are unafraid of criticism by instructing those acting in your name – as though they are the custodians of your identity or historical background – to halt the case as the facts of the matter can easily be resolved without imprisoning a fellow citizen. This manner of proceeding would also be in your interest. The harsh reaction to Siwale’s questions has raised people’s suspicions. After all, if there is no truth in the matter, and I would like to believe there is not, then there is no need for citizens to be arrested and imprisoned the way Siwale has been. All that is needed is a political rebuttal or a challenge to those aggrieved to seek redress in the courts of law, as did those who accused your predecessors of identity fraud or not being Zambian. To allow the matter proceed beyond the point it has reached, and under the prevailing circumstances, may only raise more suspicions around your identity in the public eye. Already, there are some who are claiming that the reason why Mike Mulongoti – another citizen and leader of a small opposition party who has raised questions about your identity – was not arrested is that you are seeking, through Siwale’s example, to silence or intimidate other critics, including him. You would do well to allay these suspicions by refusing to pursue harsh measures against your opponents. The legal implication of this case is that it is an attack on fundamental human rights such as the presumption that one is innocent until proven guilty and the right not to be subjected to inhuman and degrading treatment. We may not like what others say about us, but this does not give us the right to shut them up or violate their human rights. The Constitution that you swore to uphold specifically requires you to rise above individual considerations to defend and protect even the rights of your severest critics or political adversaries. Many people may find the constant questioning of the identity and nationality of Zambia’s presidents distasteful and distracting. 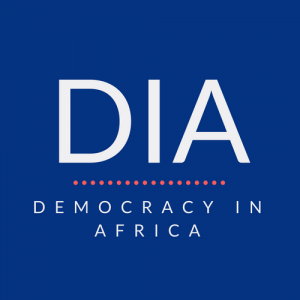 Yet it remains a fact of political life in Zambia, and one that cannot be entirely avoided. If people wish to say these things, it is their right. If people are jailed indefinitely for expressing an opinion, even before their case is heard, then we will become a country where people are afraid to say what they think and we will all be poorer after that. Is this the type of country you wish to lead as President? I look forward to your response, either in words or in actions. Sishuwa Sishuwa is the last Zambian nationalist. He is obsessed with all things Zambian, particularly politics and history which he teaches when the University of Zambia is not closed. Previous articleWhy is the British government so important to Zimbabwe’s politicians? This letter is six months old! What has happened since May 2018? Did Louche Lungu reply? As a dodgy lawyer, Louche knows the law; knows that for an American-style President his tenure has no ‘jonja ma jonja’ limits – aka, ‘hands in the till’. And Fresher? Sishuwa signs off with ‘warmest regards’. Really?